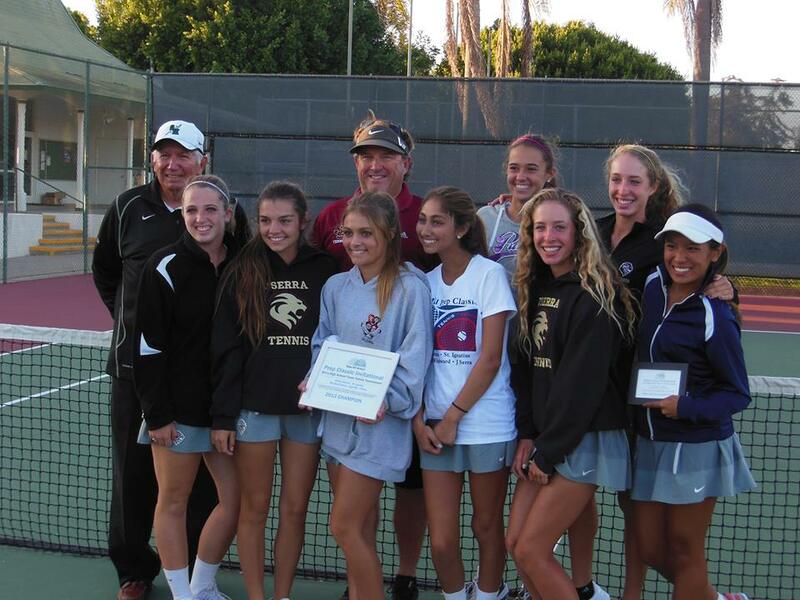 JSerra won the round-robin Prep Classic Invitational, hosted by Sage Hill, over the weekend, taking all three matches it played. The Lions, ranked No. 9 in the county, defeated St. Ignatius of San Francisco, 5-4, Sage Hill, 7-2 and Bishop Gorman of Las Vegas, 5-4 to win the tournament for the first time. Jadie Acidera, Zoe Kaffen, Natalie Wekand Lauren Burke were named to the all-tournament team for the Lions. All matches were played at The Tennis Club in Newport Beach. The matches were played in college-scoring format, with five singles matches and four doubles matches. For more on the Lady Lions Tennis team visit them on Facebook.